The Mental Health Pharma Profile is a pharmacogenetic report identifying the medications commonly used for mental health conditions that may be ineffective or have undesirable side effects. Do you relate to more than one of our Pharma Profiles? Benefit from a reduced price on additional profiles.Visit the cart for more information. The version your doctor receives will differ slightly from the one that you receive, with more technical details on dosage and drug choice. 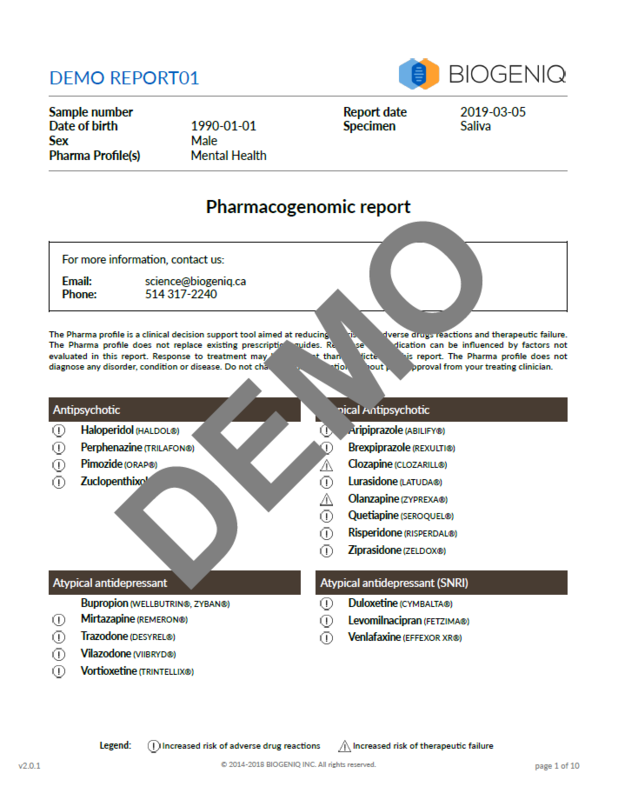 Click on the button below to view an excerpt of a sample report.